Boating season is quickly approaching, and with it will inevitably come a myriad of boating accidents. Boating accidents frequently occur on Georgia’s beaches and other waterways, and they can result in serious injuries, even wrongful death. 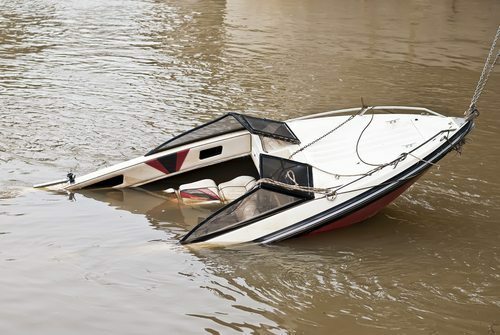 Here are several common causes of boating accidents and what to do if you or a loved one have been involved in a boating accident. Alcohol is one of the largest contributing factors to boat accidents. Although drinking and operating a boat are illegal, many people still engage in consuming alcohol before or during boating activities. Alcohol easily impairs judgment, making it more likely that a boat operator will speed, fail to adhere to safety regulations, or collide with another boat or a stationary object in the water. Much like driving a car, excessive speed while boating makes it easier to lose control. Failure to follow speed warnings in no-wake areas or going too fast when there are numerous boats in the water is an accident waiting to happen. If you are operating a boat, always pay attention to speed warning signs and use speeds that allow you to comfortably and effectively maintain control of the craft. Unlike driving a car, an individual does not have to pass a “boating test” to be able to operate a boat on the water. Unfortunately, operator inexperience is a common cause of boating accidents. Being unfamiliar with how to increase or decrease boat speed or how to maneuver the boat around objects may not be an issue in open water with no other boats around; however, inexperience can easily lead to an accident in less than ideal situations. Weather is a significant factor when considering how safe it is to boat at a particular time. Boating in poor weather can lead to boat collisions, capsizing, and even drowning deaths. Never operate your boat during a thunderstorm or when the winds are high and the water is choppy. If there is any question about the weather, err on the side of caution and wait to take the boat out until the weather clears up. Boating accidents can be serious and can cause significant bodily injuries and damage to your boat. If you or a loved one have been involved in a boating accident, you may be eligible for compensation to cover the costs of medical expenses, lost wages, and boat repairs. Contact the skilled boat accident lawyers at Appalachian Injury Law today to discuss your case in detail and to learn more about the options you have to bring an injury claim forward. Call now at (706) 515-1995 or toll free at (800) 393-8595.